Everything Beauty and Beyond! 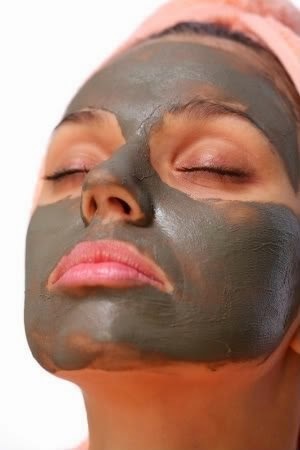 : Product of The Week: Pure & Essential Minerals Dead Sea Mud Mask! 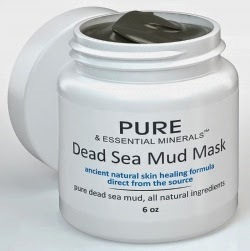 Product of The Week: Pure & Essential Minerals Dead Sea Mud Mask! I love mud anything! Really I do! As a little girl I use to play with the boys and make mud pies. When I grew up I stopped playing with the little boys and started playing with the big boys known as "Spas" and never looked back. I have had mud facials before in my past and loved them. I always wanted to have a mud bath, however said matter has not happened yet! Nonetheless when Pure & Essential Minerals contacted everything Beauty and Beyond to review their Dead Sea Mud Mask, I was game! I was so excited that I could hardly contain myself and counted the nights away till it came. I know, a bit dramatic but did I tell you I love mud?! When the package arrived I was quite shocked on how big the jar was. It came in a nice plastic jar with a plastic wrap around it for protection. It was really easy to open and close. It smelled like eucalyptus and fresh mint. I was really taken by the smell. The texture seemed very spongy and soft. The color was a dark green. I was really excepting it to look like dirty old mud. But then again who would actually put that crap on their face if it looked like the type of mud that kids played in after it rained and cars drive through after a snowstorm?! It took me almost two weeks before I could use this because I ended up breaking out in a serious rash on my face from allergies to the point that my skin was cracked and bleeding. After two weeks of torture, the rash has subsided a lot but it left me with nasty dry patchy skin as it healed. Once I felt that my face was safe to "experiment" on with, I went for it. However with all that being said, I can't say if it was product or the fact that my face was still sensitive and healing from the hell of a rash that I had. Nonetheless as all brave soldiers I push on and after 2-3 minutes the hell burning flames stop. I decided during the 10-15 minutes that I had the mask on, to google the net to see if anyone else had the same kerosene burn like sensation and realized that no, no, it really was just me and my face getting over the rash. I probably should of waited another week or two before applying it. However to late now, eh!? Once the burning sensation stopped (after 2-3 mins) and the 10-15 minutes had passed I washed it off. The mask dried to a dark green color and wasn't concrete hard. It washed off easily and with no real residue left behind. I noticed automatically on how soft my face felt. I was actually quite shocked out my head. I have tried other mud masks before and they have ALWAYS left my face feeling Sahara dry to the point that it felt like it was going to crack. However not this time. This time my face felt soft, hydrated, moisturized and just plain amazing. I applied my Paula's Choice toner and Poppy Austin Argan oil and went to bed. When I woke up the next morning, it was like angels were singing in my bathroom. The parts of my face that were healing from the rash that were left with dry scaly skin actually looked better and in some areas were gone altogether. I was amazed..let me say that again..I WAS AMAZED on how well my skin looked. The parts of my face that had the dry scaly patches, I was applying creams and oils mornings, afternoons and nights in order to hydrate the skin and nothing was working. Due to this, I haven't worn make-up in almost 3 weeks because you can see the nasty dryness through the foundation. However this just totally amazed me on how the dryness was gone in many parts of my face. I'll be honest I still haven't worn make up (and I won't till next week) nonetheless my skin looks freaking awesome and almost back to its original condition before the biblical plaque came over and took a hold of my face. This also made the blackheads on my nose look better and came out easier when I used my extraction tool and Paula's Choice BHA 9. This Dead Sea Mud Mask really helped to get those nasty suckers out! I did read online from some users that since this product is all natural it can spoil and it was advised to place in the fridge for longer shelf life. Also, it would feel cool on your face when applied! The jar clearly says to only use once a week which is a bummer as I would love to use this 2-3 times a week. However I plan to use this weekly till it runs out and according to their website you have about 30 plus facials you can get can out of this jar! That is basically more then half a year if used weekly! I love this product and would for sure recommend it! I will definitely check some of this stuff out! Sounds heavenly!